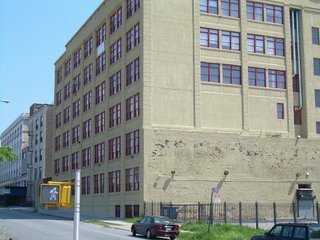 In a unanimous decision that may crimp the state’s pursuit of eminent domain on the Atlantic Yards site, a state appeals court has upheld a judge’s March 2007 decision that Henry Weinstein’s tenant, developer Shaya Boymelgreen, improperly assigned leases to a Pacific Street building and adjacent parking lot to an affiliate of Forest City Ratner. The Supreme Court properly awarded the landlords summary judgment on their third and fourth counterclaims to the extent of declaring that the tenants’ assignment of their respective leases violated the leases and that the leases are terminated.... The terms of the subject leases are clear and unambiguous. Having found that the tenants breached the leases, and the landlords thereafter terminated the leases, the Supreme Court should have granted the landlords such relief. “I couldn’t be more pleased. I’m happy that the rule of law prevailed,” Weinstein said this morning, adding that he thought the previous ruling, which did not give him back the premises, might have indicated that the judge wanted him to settle the dispute with Forest City Ratner. As with the previous iteration of the case, an appeal seems likely, though I haven’t confirmed that. Still, the unanimity of the decision makes it less likely it’ll be overturned. As I wrote in March 2007, the ruling can't stop the state from using eminent domain to take the properties, but it might make it more costly, as Weinstein has contended that Boymelgreen’s deal with Ratner would diminish the value of his property. All of the properties within the Project Site would be acquired by ESDC... at the outset of Project implementation. After all, Weinstein's property is needed for the interim surface parking for construction workers and the arena. The lease assignment, Weinstein argued, allowed the Empire State Development Corporation (ESDC) to deceptively portray—since October 2005—that Forest City Ratner “controlled” the land, thus suggesting a lesser need for eminent domain. Weinstein’s companies are plaintiffs in the pending state eminent domain case regarding AY. According to this oudated map (right) from the ESDC, the asterixes indicated: FCRC has closed on an option to take by assignment the lessee's interests under the ground leases for these properties. However, the property owner has objected to such assignments. The latest ownership map is more accurate. In a companion case, which also involved Forest City Ratner along with Boymelgreen, PACIFIC CARLTON DEVELOPMENT CORP v 752 PACIFIC, LLC, the appeals court ruled that it was appropriate for the lower court to grant the portion of the motion in which Forest City Ratner and affiliates argued they were not liable to a breach of contract, because they were not actual parties to the contract alleged to have been breached. The court also ruled that it was appropriate for the lower court to grant the portion of the motion in which Boymelgreen himself was not personally responsible, because his personal guarantee of the leases had already expired. However, the court erred in granting those branches of the motions which were to dismiss the second cause of action alleging tortious interference with the leases insofar as asserted against Boymelgreen and the Forest City defendants. [Clarification 5/10]: I'd written that Weinstein can pursue damages. He still has to win in trial court. Companies controlled by Weinstein own the six-story yellow former manufacturing building at 752-766 Pacific Street, as well as two adjacent lots, used as a parking lot. They make up about one acre of the planned 22-acre site. The leases provide that the tenants may assign their leases with the consents of the landlord, which “shall not be unreasonably withheld or delayed.” At issue was whether Weinstein unreasonably withheld the lease. On 2/16/06, they asked Weinstein by letter to consent to the agreement, according to Boymelgreen’s complaint. Weinstein didn’t reply--Boymelgreen mailed the request to an outdated address for Weinstein--so on 3/2/06, two weeks later, they closed the transaction, contending there was no reasonable basis to any objection.